As part of Microsoft's ramping up process of encouraging developers to create software for Windows Phone 7, the company releases an iOS to Windows Phone 7 app porting tool . This makes it easier for developers to bring their popular iOS apps to Phone 7. With App Store and Marketplace way ahead, Microsoft is very serious in catching up. 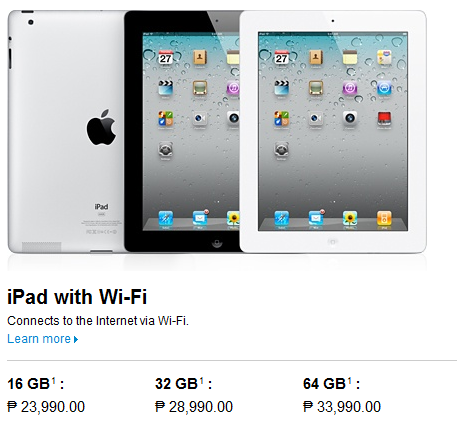 Receive a tweet earlier about iPad's availability here in the Philippines that is why i woke up readily and look for an official statement before posting this one. Sadly, I wasn't able to find one but what I found instead was a repost of Digital Hub's facebook page about the article. 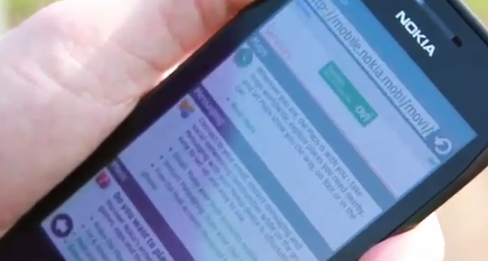 They even made a comment "Excited for the iPad 2?" and since Digital Hub is an authorized reseller of apple products, this makes this "rumor" very close to official if not. Red Mobile is offering new prepaid promos that is cheaper than any other combos out there. This promo only applies to Red-to-Red calls and texts. Promo is until Oct. 11, 2011 only. Vodafone Australia is currently testing Android 2.3 Gingerbread for Samsung Galaxy S, Tab P1000, Desire Z and Desire HD. It's already a confirmation that the following devices are planned to have the Android 2.3 update soon. Smart's LTE mobile broadband internet gets tested at Boracay, it's fast! Smart promises internet speed up to 50mbps with its new 4g offering called Smart Evolution. Jayvee Fernandez, a blogger and owner of abuggedlife.com provide us a sneak peak on how this new service from smart performs on real world scenarios. From my hotel which is in a more remote location (and indoors) I am getting 15Mbps. This afternoon, the LTE booth was pushing 69Mbps (LTE promises 50Mbps) and while everyone was sharing over WiFi and stressing the network with HD video streaming, they did a decent ~ 30Mbps, which is still very fast. Visit a bugged life to read more details about the test. 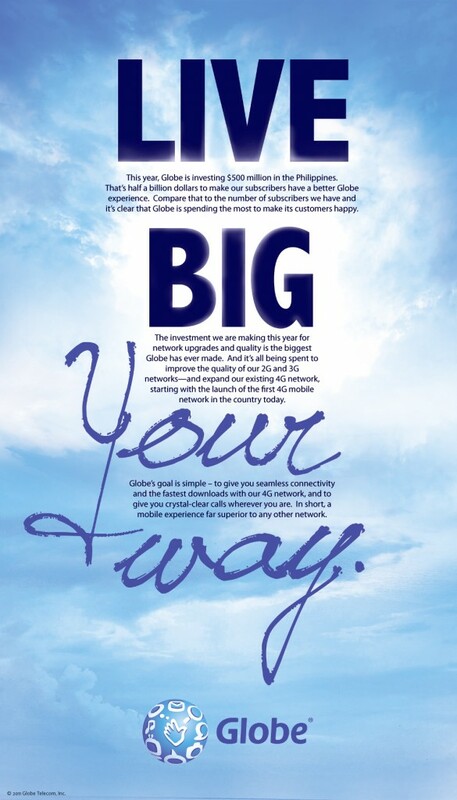 For Globe Prepaid subscribers only. Must maintain P1 balance to use this service. Promo is until June 30, 2011 only. Smart Buddy presents LAHATxt 30 Combo! Get 300 texts to ALL networks + 20 minute calls Smart to Smart. P1.00 balance must be maintained. Promo is valid for 2 days upon subscription. update: LAHATxt 30 combo is now 300 texts to ALL networks + 20 minute calls Smart to Smart (previously 250 texts to ALL networks + 20 minute calls Smart to Smart). Globe is the first telco provider to launch 4G grade connection to mobile consumers in the Philippines, but other companies are already testing their own 4G network like Smart. Wi-tribe is a also 4G connection provider but lacks mobile offerings. HSPA+, or Evolved High-Speed Packet Access, is a 4G wireless, mobile, high speed broadband technology and provides provides HSPA data rates up to 84 Megabits per second (Mbit/s) on the downlink and 22 Mbit/s on the uplink. EDoF stands for Extended Depth of Field and works by using an asymmetrical lens that has the capability to focus objects from different distances, depending on which parts of the lens the various light 'rays' strike, on the same sensor. Although EDoF is more robust, quicker to take shots, better in video capture , that doesn't mean that its a better camera module for cameras. Actually, knowing what kind of scene or subject you will be shooting makes a difference in choosing which particular camera type would give better results. Below is a list of 9 possible use cases for camera phone (there are still more but to make this post simple , just relate other scenarios that are closely-related with one on the list below) and an indication of when to use EDoF or Auto-Focus camera to get best output. The list below also assumes that the subject or scene is well lit , as darker scenes require larger sensors. 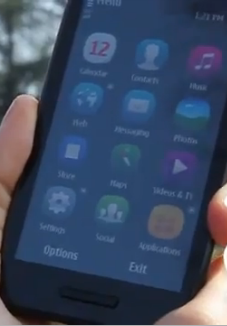 Open Maps, Drive, Check in and Guides with a just tap on your home screen. Search now includes a tab for favourites. Predictive search also works offline. Place pages have a new design including a new image gallery, user reviews, descriptions by business owners, leading guides and local content providers, e.g. TripAdvisor, HRS, Expedia additionally to Lonely Planet, Michelin guides, TimeOut, Qype and WCities. Easily change the map views in Drive navigation by tapping the views icon. You can pan the map to see the next move and explore the map within the route overview. Tap on Guides and immediately see the weather forecast for your location or another city. Interconnected telecommunication network means that in areas where Globe, Digitel or Bayantel are present, customers of the competing telcos within a province or city can call each other locally via 7-digit local dialing without having to pay long distance rates. 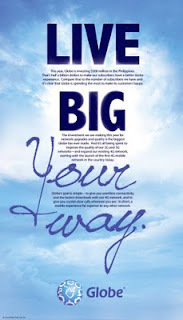 I've heard a rumor about unlimited call and text options between Sun Cellular, Smart, Red Mobile, Talk n' Text and PLDT. It may be possible since PLDT now owns large stakes on the said Telecom Providers but it is not clear if the option will be available only to Sun (the original unli call and text provider) subscribers or across all the networks under PLDT's roof. I am looking at Anti-trust / Anti-competitive or monopoly issues here though. Aside from the hardware part, X7 will initially come with the latest S^3 UI (picture above), a new and faster native browser and a host of enhancement just like the split screen virtual keyboard. If I'm not mistaken the software that X7 have will also contain the "summer update" we have been waiting for our N8/C7/C6-01 and E7 devices. 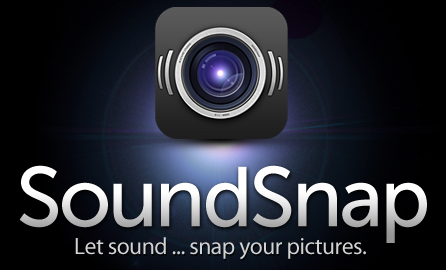 SoundSnap is a simple camera app that lets you take pictures by detecting any sound you make! Simply tap, speak or make any sound into the built-in microphone and SoundSnap will quickly snap a picture! Better yet make use of your earphone headset or Bluetooth headset as a remote! 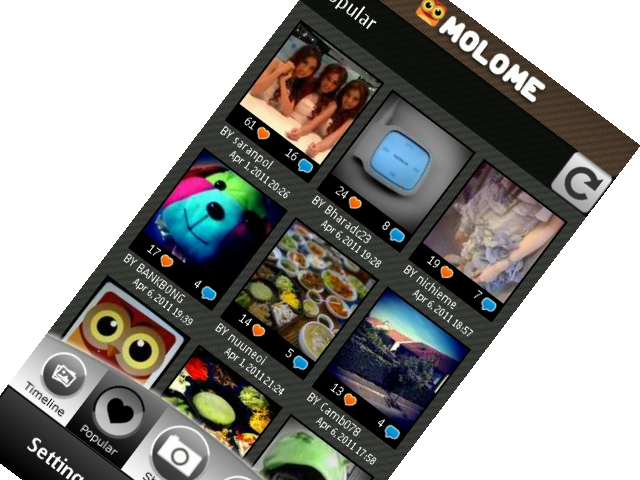 Tap, speak or make any sound to snap a photo! SoundSnap is a fully featured camera app. Adjust the sensitivity of the sound detection. Optimize the app for quiet or noisy environments. Use your headset as a remote cable release. Connect your headset to your iPhone to use it as a remote release cable. Use Bluetooth headset as your wireless remote. Speak, make a sound or tap your Bluetooth Mic to take a picture! For those times when discretion is needed. Give youeself time to perfect your pose before taking that photo. Compatible with iPhone® 4, iPhone 3GS and iPod® Touch (4th Generation). Developed for iOS 4.0 and above. Sale is from April 11 to 17, 2011(7-Days) only. All Nokia Stores and selected retail outlets participates in this sale. I found an interested infographic from smart's facebook page that differentiates smartphones and ordinary phones (or dumbphones). Basically, feature phones, like dumbphones, can do ordinary phone functions such as calling or texting and also offers the ability to install apps, play games and access the internet but has lesser functionality than smartphones. 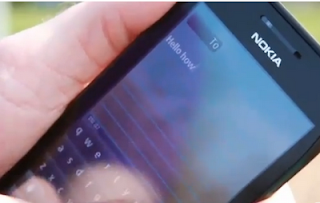 Good example are Symbian s40 phones such as Nokia 5310 xpressmusic, Nokia C3 etc. Another question for me is that smartphones have operating system, then what do they call the software that runs the cellphone's call, sms, mms, and email functionality? Isn't it also a operating system? or it better fits "firmware" as a category? Still remember the mobile phone with another great camera specification that Beste Product compared with Nokia N8 ? 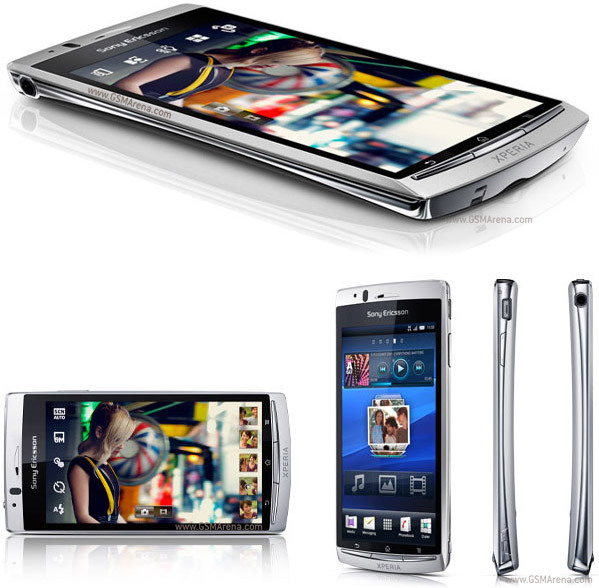 It's the Sony Ericsson Xperia Arc, the latest Android based smartphone from SE and is now being sold here in the Philippines at around P26,000.00. Top electronics is offering pre-order of units of HTC Desire S for only P23,500. Stocks will be coming on April 9, 2011. MOLOME ™ is a easy & fun way to share your journey of life. Grab your phone, snap photos, experience cool effects beyond creativity and share it with your friends or show it to the world. iPhone 4 Unlockers don’t do this, Ultrasn0w isn’t ready. On Windows make sure to right click on Redsnow.exe and run it in Windows XP SP3 Compatibility Mode and as Administrator. Update your device to iOS 4.3.1 before you do this guide. Update iTunes to the latest version before you do this guide. Head to the link below to view the step by step procedure. Cherry Mobile slashes big prices on its Android and Windows Phone line up with up to P5,000.00 and/or 50% off on it's selected phones. Superion is a 7" capacitive touchscreen tablet using Android 2.2 operating system. Specs looks good except for its 600mhz processor. update: Check out the new Superion TV , 7' Android tablet with TV. Just watch the video and see how durable this phone is.